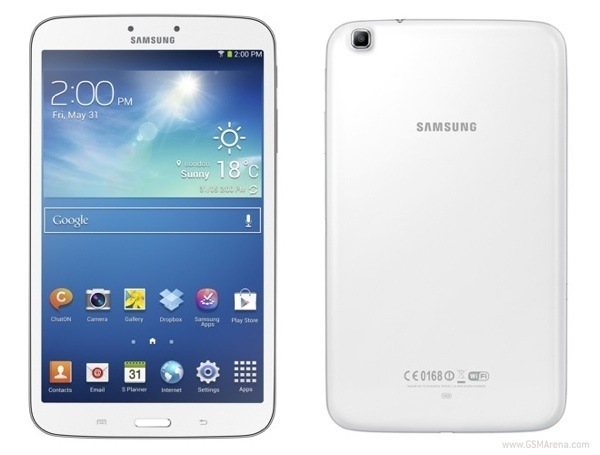 We have already seen the 7-inch version of the Samsung Galaxy Tab 3, which was announced back in April. Now Samsung has announced two new additions to the lineup in the form of an 8-inch and 10.1-inch model. 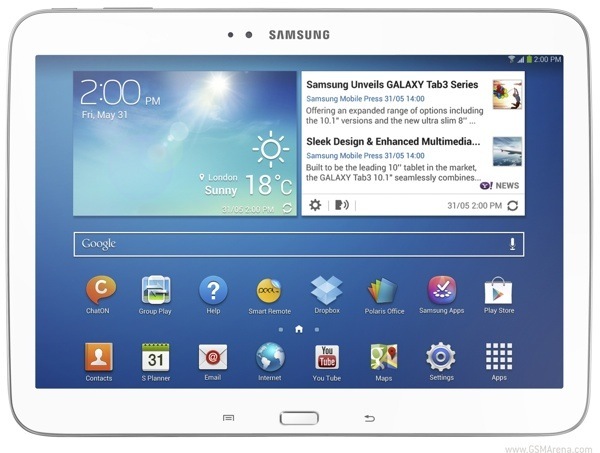 The 8-inch Samsung Galaxy Tab 3 8.0 improves upon the 7-inch by offering a slightly bigger and higher resolution 1280 x 800 display and a faster 1.5GHz dual-core processor. The slate packs a 5 megapixel camera on the back, 1.3 megapixel on the front, 16/32GB internal memory with microSD card slot, 1.5GB of RAM, LTE, Wi-Fi, GPS, Bluetooth connectivity, 4,450mAh battery. It's running on the latest Android 4.2 Jelly Bean. The Samsung Galaxy Tab 10.1 model has similar specifications, including the same 1280 x 800 resolution, only it's stretched over 10.1-inches. Only differences here are a faster 1.6GHz dual-core processor, 6,800mAh battery and strangely, a lower resolution 3 megapixel camera and only 1GB of RAM. Also, as you can see from the image above, Samsung has completely dumped the on-screen keys in favor of physical buttons below the display. Although there is no mention of it in Samsung's press release, Reuters claims that the Galaxy tab 3 10.1 is running on Intel's Atom processors. We will need to get our hands on the Galaxy Tab 3 8.0 to find out which exact processor is running under its hood.